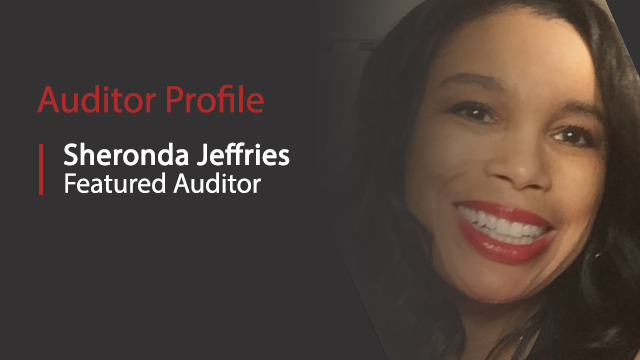 Sheronda Jeffries, ASQ CQA, is a program manager for Cisco Systems, where she is responsible for providing internal consulting support and training. 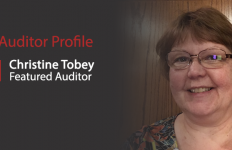 She has more than 20 years’ experience serving as a third-party quality auditor and a consultant to Fortune 500 companies, specializing in quality management systems implementation and auditing. Jeffries represents Cisco Systems at QuEST Forum, an industry collaboration of companies dedicated to ICT supply chain quality and performance. Here, Jeffries reflects on her long career in the quality and auditing professions, and makes some predictions for the future. 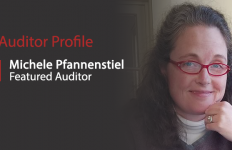 How did you get into auditing? At my very first job fresh out of college, I worked as a quality control engineer. When I left the company to move back to the South after a particularly nasty winter in New England, my new employer enrolled me in an ISO 9001 lead auditor training course due to my previous experience in quality. That course changed my life. I knew that I wanted to audit and train others to enjoy auditing as much as I did. What’s your favorite thing about performing an audit? My favorite thing about auditing is the fact that it requires that I use my brain and think. In order to evaluate performance and effectiveness, you have to use brain power. Auditing using a process approach, which means understanding how the puzzle pieces of an organization fit together to make a masterpiece. 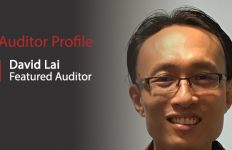 What advice would you give to new auditors? Enjoy the opportunity to ask questions and talk with others. As an auditor, organizations are trusting you to ask the right questions. Last week, I attended an industry meeting and the person leading the meeting recalled that I taught their ISO 9001 lead auditor training course. This person is now the accreditation director for an international certification body. Nothing makes me more proud than knowing that I encouraged others to pursue a very successful career, starting as a quality auditor. What will auditors be focusing on in 10 years? That is a hard question and requires a really big crystal ball. Auditors are now asking hard questions about how companies establish their business priorities and their strategic direction. Auditing will continue to be impacted by technology, plus we may see a loss of “tribal knowledge” as some of our boomers leave the workforce. The future of auditing is going to be really interesting. Why is the QuEST forum’s work important? QuEST Forum is unique. We are an industry organization of service providers and suppliers, who are often times competitors, working together to develop innovative solutions to improve the ICT industry. Even our standard is unique. QuEST Forum’s TL 9000 standard is a two-part quality system standard—a Requirements Handbook that uses ISO 9001 as its foundation and a Measurements Handbook. The TL 9000 measurements allow companies to track performance and improve results through analysis against industry benchmarks for “best-in-class,” “worst-in-class,” and “industry average.” We are truly a data-driven organization committed to continual improvement across the global ICT supply chain.